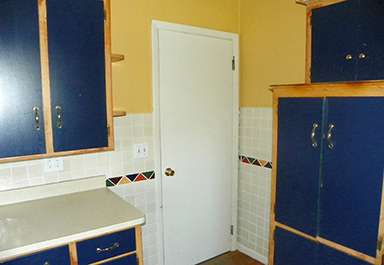 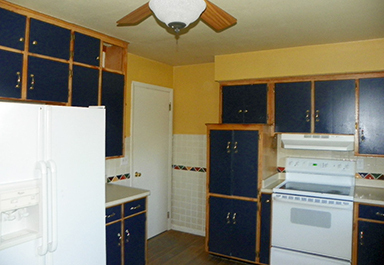 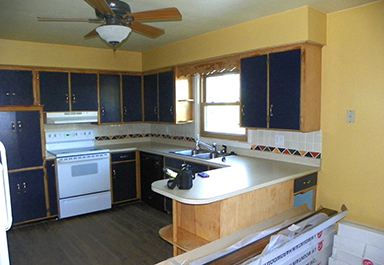 This kitchen, originally installed in 1958, had a few minor updates over the years, but was in need of a fresh start! 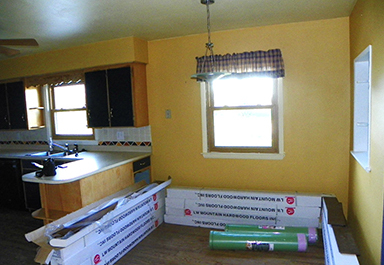 We completely demolished the interior of the room and reframed the ceiling and raised it by several inches to add height and an open feel to the space. We angled the corners of the ceiling to add some structure and character. 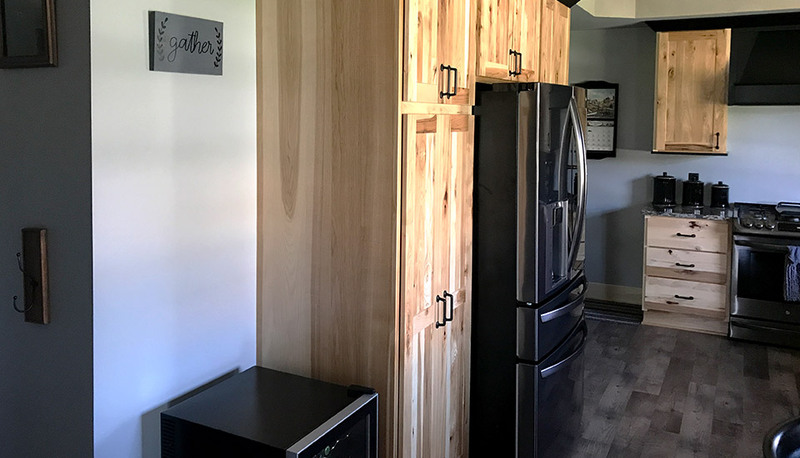 After removing an old doorway we raised a header into the attic allowing the room to flow into the back hallway effortlessly. 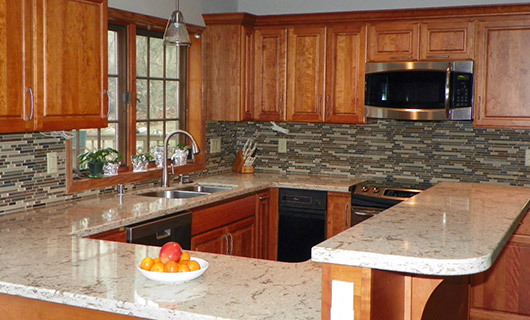 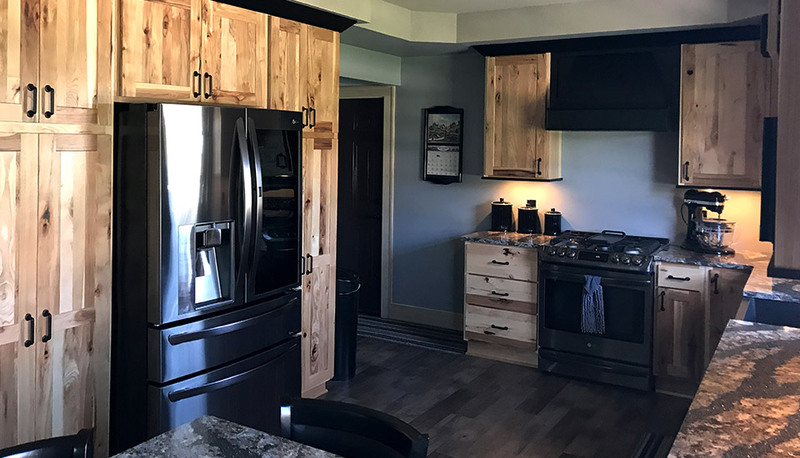 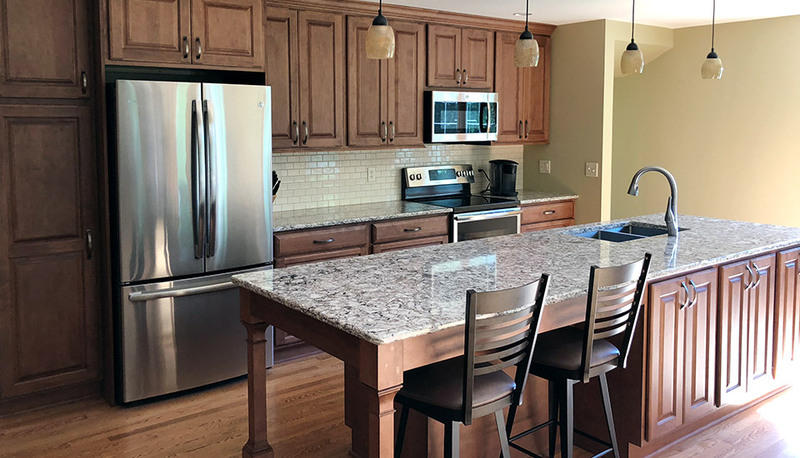 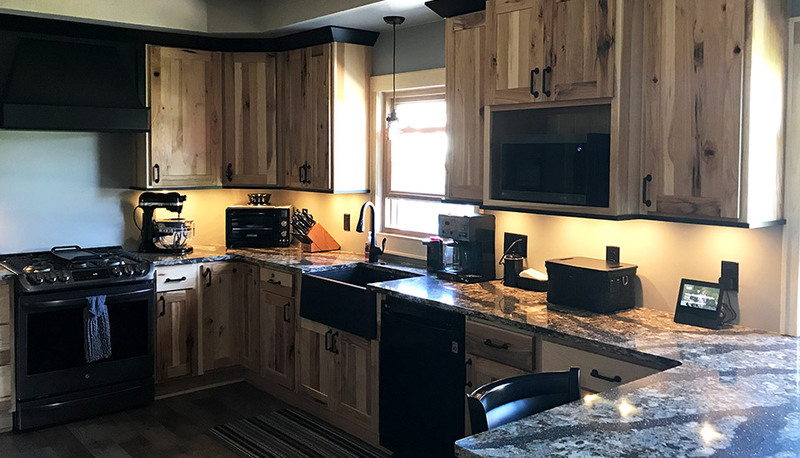 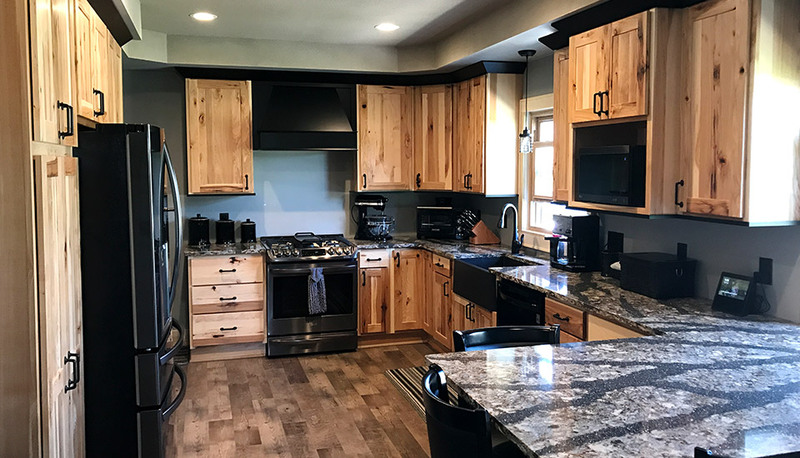 We installed Showplace Rustic Hickory Cabinets with a natural finish and trim & crown to really set them off. 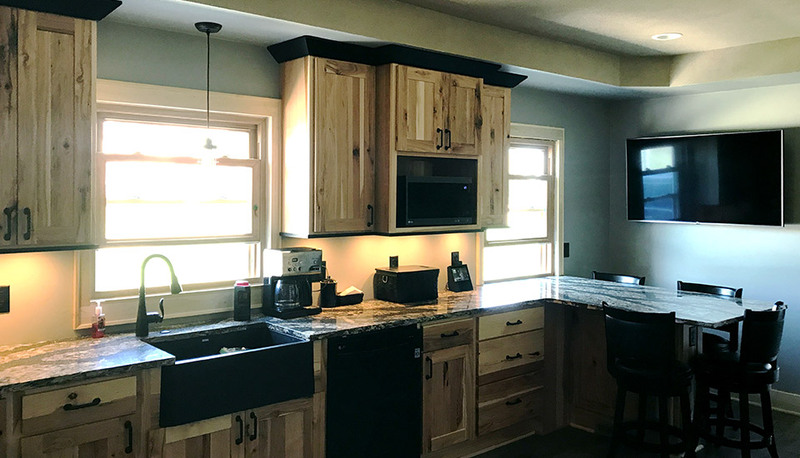 Black LED under-cabinet lighting illuminates bold Cambria Harlech Quartz Countertops and modern Adura Dockside Driftwood luxury vinyl plank flooring. 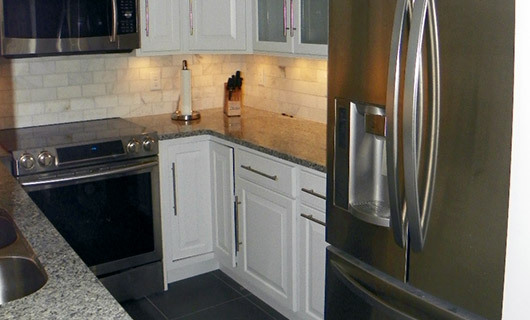 This kitchen went from outdated and cramped to a modern and functional space that is truly the heart of the home!